A linguistic play of various languages, signs, etymologies and puns. 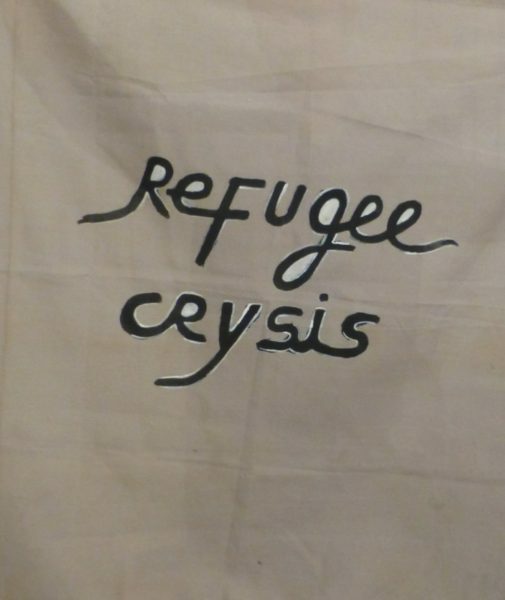 In our recent acquisition, I am IdealEast/ Refugee Crysis/ Kennedy (2015) by Babi Badalov, we find an ensemble of paintings on fabric reflecting not only years of mourning and imperilment, but a utopian wish for a future hybrid idiom that is common to all. 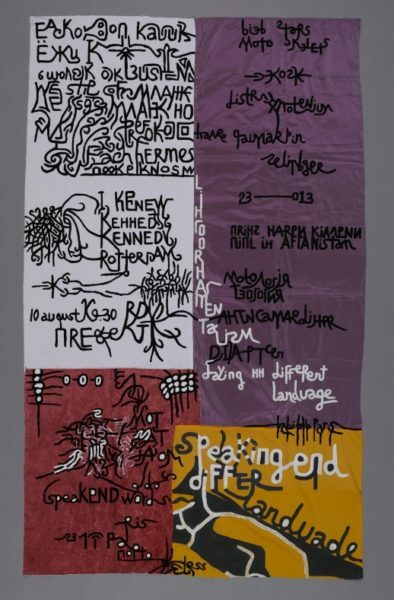 Babi Badalov’s practice is primarily concerned exploring and testing the limits of language. Marked by displacement, Badalov’s personal life continues to inform his practice. Originally from Azerbaijan, he has spent his life migrating between Russia, the United States, Europe, Asia and the Middle East. 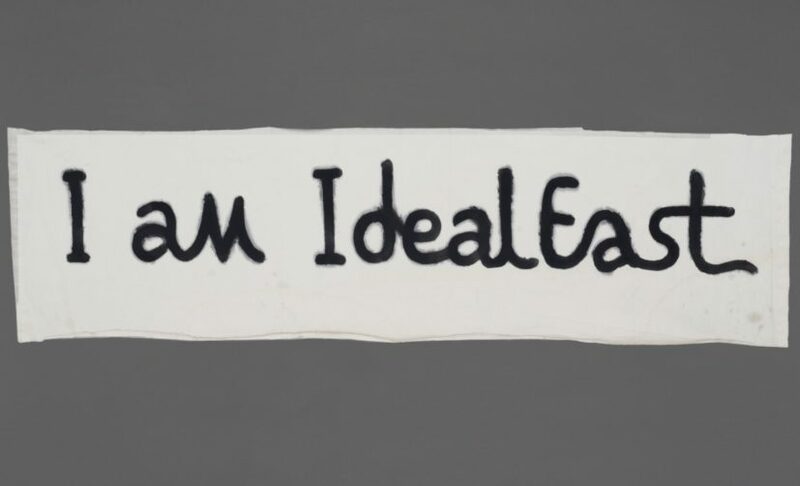 The acquisition of I am IdealEast/ Refugee Crysis/ Kennedy is a first step in the process of developing the Middlesbrough collection to reflect the contemporary context of the museum. With the city having large numbers of residents from the Middle East and Sub-Saharan Africa, the majority of represented practitioners in the Middlesbrough Collection are from Europe and North America. This new acquisition contributes to making the museum a space for diversity and cultural exchange, and ensuring that practice from diverse cultures is represented and encouraged.